After a rather drab existence in an English orphanage Linda Martin is appointed governess to the nine-year-old owner of the Chateau Valmy in the French Alps. During little Philippe's minority the estates are being managed by his crippled uncle Leon, and Leon's handsome son Raoul. All seems delightful, but there are tensions below the smooth surface. One sunny afternoon a bullet is fired in the beechwoods ...and the tensions become terrors. 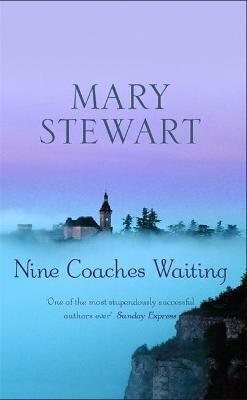 Mary Stewart was one of our most successful novelists. Her first novel, MADAM WILL YOU TALK, was published in 1955. It was an immediate success and marked the beginning of a long and acclaimed writing career. All her novels have been bestsellers on both sides of the Atlantic. She was made a Doctor of Literature by Durham University in 2009. Mary Stewart died on May 9, 2014.